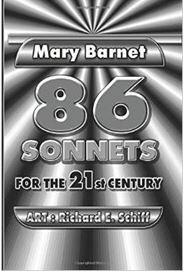 86 Sonnets for the 21st Century Mary Barnet art by Richard E. Schiff Paperback: 134 pages Casa de Snapdragon, 2015 Avaliable at Amazon 86 Sonnets for the 21st Century Reviewed by Carol Smallwood I was attracted to the title of this new poetry collection by Mary Barnet, the Founder/Editor of poetrymagazine.com because I know how difficult it is to write sonnets and admit giving up on them and concentrating on other forms — the triolet, villanelle, and pantoum. Mary Barnet’s first book from Gilford Press, The New American, was nominated for the Nobel Prize; Arrival, her second, is from Casa de Snapdragon. We usually associate the sonnet with Shakespeare because of lines such as, “Shall I compare thee to a summer’s day?” the first line of his “Sonnet 18”. There are various types of sonnets and rhyme schemes in the traditional iambic pentameter — John Donne, Dante Alighieri, are just two other well-known sonnet writers. The modern slant of 86 Sonnets for the 21st Century is highlighted by the geometric futuristic art of Richard E. Schiff, a Life Member of the Art Students League of New York. richardeschiff.com : thirty-six full page black and white art pieces (each have titles) begin on page 2 and end on page 122. The poems are dated and are listed in a title index; like the title indicates, there are eighty-six, and some have dedications such as the charming, “Mousey” to Robert Burns. The New Jersey poet examines the seemingly ordinary such as listening to the radio, watching birds, noting the impact of Hurricane Sandy, while exploring the passage of time, death, fate, war, the animal in the human species, and confronting eternity. Many sonnets have one word titles and one of my favorites is “Mirror”, which raises several important questions about human destiny. In the poem, “Most” the poet asks: “Perhaps, there is a way for us to win this game of chance?” Reminiscent of Emily Dickinson, “Regrets” begins “I know a thing or two.” but I hardly know more. and the ending lines “My mind strains the day as through a sieve; despite all my efforts, I have taken a fall. If only earlier in life, some bridge I had crossed.” Since sonnets have only 14 lines, here’s a sample: “Pomposity” Another mountain to climb? Or is it a hill? Do I know the way still? What’s at the top this time? Merely a cocktail with lime or some fulfillment of my will? Perhaps my mind will fill, and cast off all pride as if it were a crime. Can I see my life without blame? Looking down on a world of simple men, cast aside grandiosity? Wanting lust and greed to tame, must I set down my pen or simply throw down all I cannot be? Ms. Barnet asks, explores hard questions, the universals, as well as the less serious in a challenging poetical form. She uses a traditional form to address contemporary life that surprises and delights; it’s clear she enjoyed composing the sonnets and is an accomplished poet. I would have enjoyed an Introduction or Preface by the poet and a Foreword by another. I believe the poems have not appeared in other magazines or books as there are no Acknowledgments. The modern art helps make this even more an outstanding example of using traditional form by an important contemporary American poet. 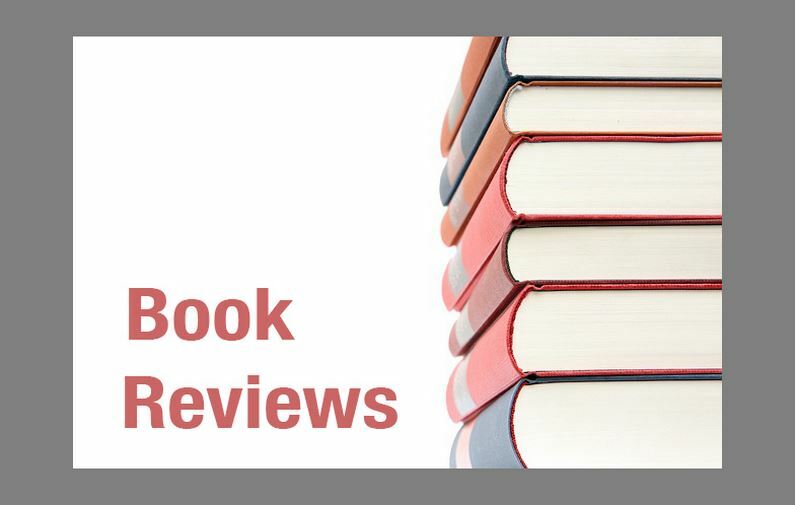 The Reviewer: Carol Smallwood’s books include Divining the Prime Meridian (WordTech Communications, 2015); Women, Work, and the Web (Rowman & Littlefield, 2015); Writing After Retirement (Rowman & Littlefield, 2014). Women on Poetry: Writing, Revising, Publishing and Teaching is on Poets & Writers Magazine list of Best Books for Writers. Ms. Smallwood, a multiple Pushcart nominee, has three poetry collections and one chapbook of formal and free verse.